Know what’s the biggest mistake Startups make these days? The answer is fairly simple: Not trying to carve a distinct space for themselves in their market. This is more common in the apparel industry where new business owners stash a chunk of every variety of women and men’s wear in their warehouse, wishing to woo every kind of consumer. If past stories and countless studies have shown us anything it is how poor and ineffective this strategy is. It has mediocrity written all over it. While the retailers can manage to bring decent sales for average earning, the returns won’t be sufficient for large appetites who want to grow their business into a powerhouse that shells big money. This is the single biggest reason why smart and new-age business owners, these days, are, instead of retailing under different brand name, launching their own private label business. 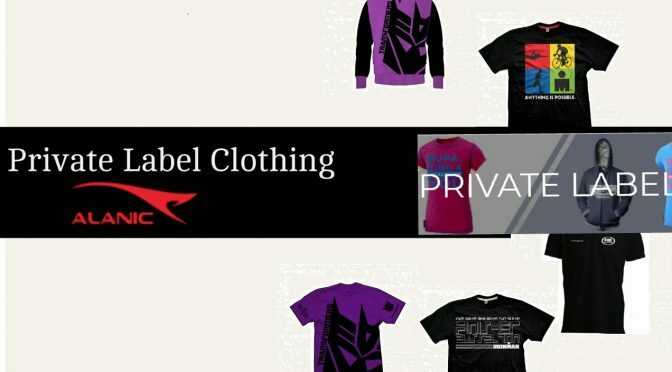 No wonder, the demand for private label clothing wholesalers has jumped high in recent times. Selling under their own brand name has seamless benefits, unearthing new opportunities for the business owners, with only slight bit of more investment, better strategy and higher consistency. For example, the growth scope for private label business is much higher. Carving a distinct space in the market, appealing the core target audience, and attracting more number of customers with personalized campaigns—it all becomes relatively easier. Combined, these can bring much higher returns for the business owners, which can further multiply if backed by sustainable marketing concepts. Doesn’t it all sound just and sensible instead of struggling to meet the ends meet with marginal returns when retailing clothes under different brand name? What makes the deal even sweeter is the fact just how easy has the top wholesale custom clothing manufacturers made launching private label business. Packing the right infrastructure and advanced tools that make supplying private brand wears much more cost-effective and quicker, the right wholesale dealer can easily pillar a business owner’s needs and goals with a dash of perfection. At a time when consumers are looking for unique variety of wears and the kind of profit this business model has—launching a private label clothing business is not a good idea, it’s a great one!